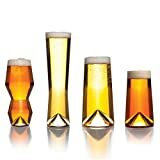 This cool new Sempli Monti-Taste is a set of four modern geometric beer glasses designed to compliment the flavor profiles of IPAs, Pilsners, Pints, and 12-ounce bottles along with boosting the carbonated effervescence as well. 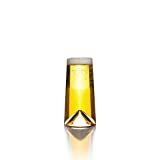 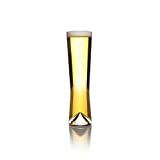 This futuristic set of hand-blown lead-free crystal beer glasses includes one Monti-IPA, Monti-Pils, Monti-Birra, and Monti-Pint glass in a stylish gift box and each features a flat outer bottom and unique inner cone bottom. 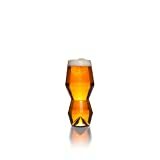 Perfect for sharing a tasting of home and craft brews and makes a great gift for beer connoisseurs.